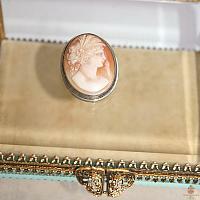 Exquisite Hand Carved Shell Cameo of Flora set in Silver, expertly carved and perfectly proportioned. 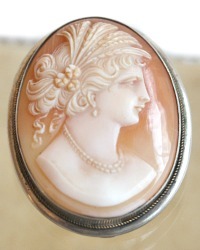 Cameos have a storied history that dates as far back as the Roman Empire. 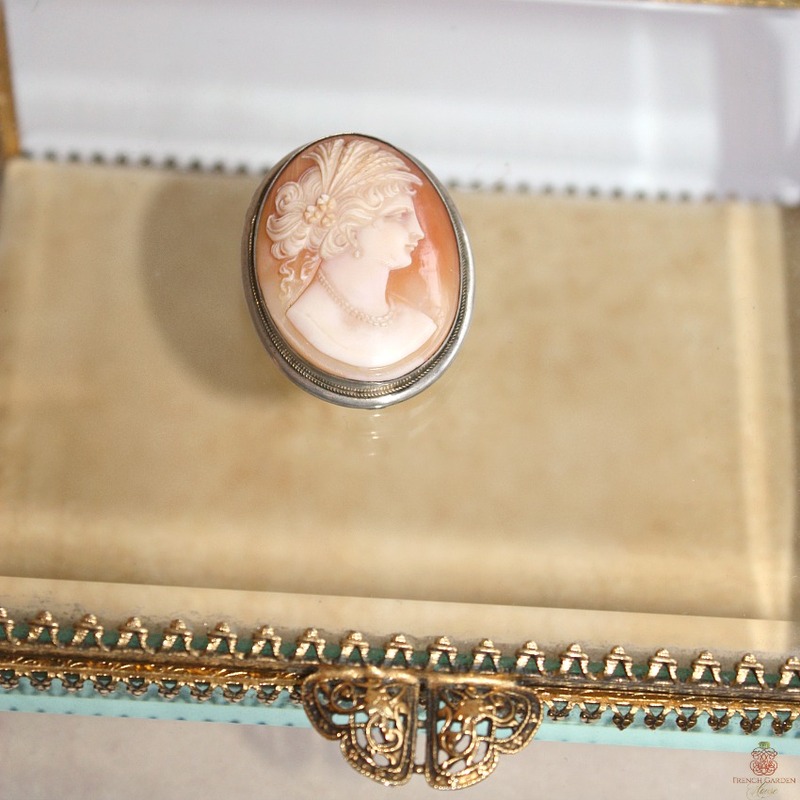 Created by master craftsmen, a cameo is a "high carving" - a relief image into coral. 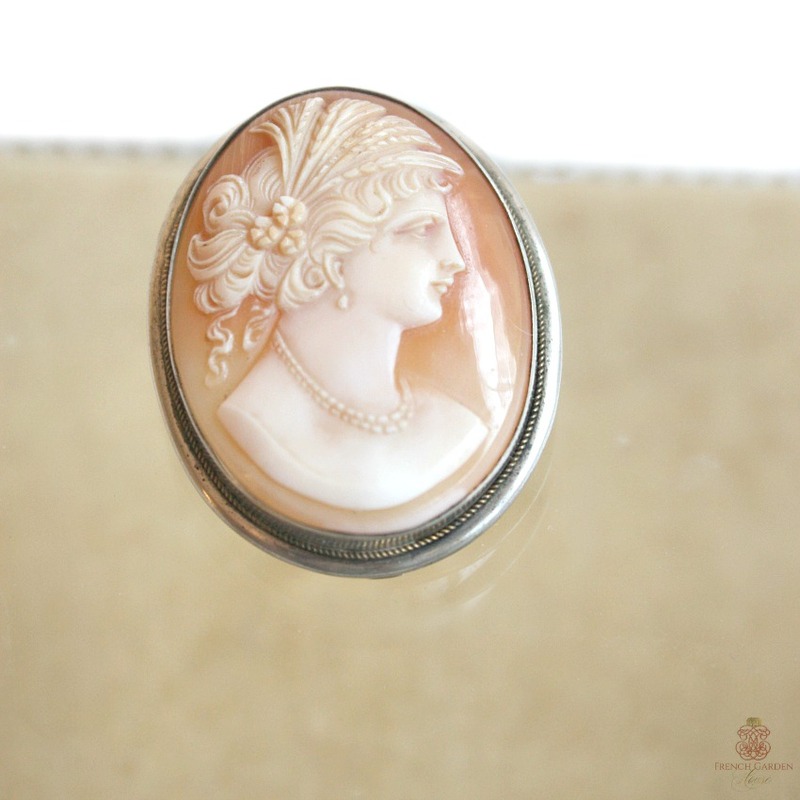 This cameo pin features an elegant and classic female profile rendered in incredible detail, you can see her tendrils of hair, her earrings, feathers and flowers in her hair, her pearls. The color is exceptional, cream with light hues of demure peach coral. 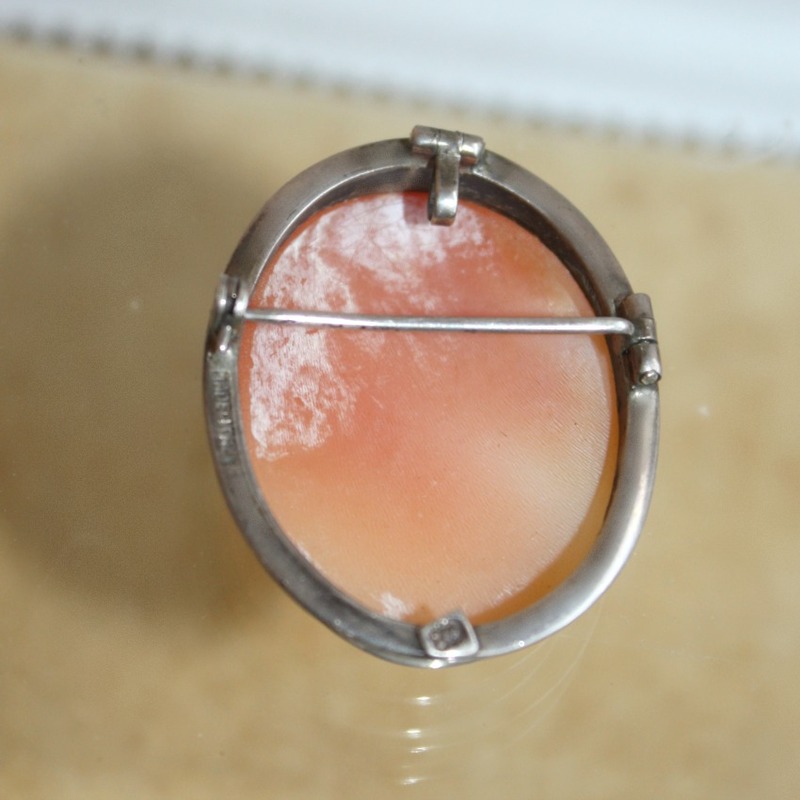 The cameo is set in the frame made of brilliant silver, it is marked 800 for Continental silver. A spectacular pin or brooch for your collection, the simple roll over safety clasp on the reverse of the brooch makes it easy to wear or display. It has both a pinback and a hanger so it can be alternatively be worn as a brooch or as a pendant on a chain. Measures 1-1/2" x 1-1/8" x 1/2".